Plans to transform Wakefield’s derelict Rutland Mills site into a new leisure complex have been approved. London-based firm Tileyard Studios has been given permission to regenerate the old industrial buildings by the city’s waterfront, which have been empty since 1999, into a series of shops, bars, restaurants and a creative arts space. The plans, which have been several years in the making, could create around 800 jobs, developers say. The scheme, which is scheduled to be completed in three phases during the next four years, will see three listed buildings demolished and a further six refurbished. Speaking at a meeting of Wakefield Council’s planning committee , Katie Tonkinson, on behalf of the applicant said: “We anticipate that this development has the potential to create 800 new jobs. In their recommendation to councillors to approve the plans, the Planning Inspector had acknowledged concern about the alterations to listed buildings, but said that harm caused to the site would be “less than substantial”. 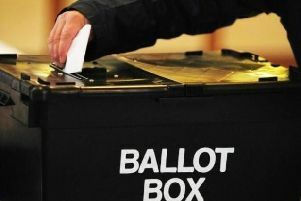 Knottingley ward councillor Glenn Burton said the scheme was a “win-win” for Wakefield. He said: “We are talking about heritage buildings here. I think if these buildings hadn’t been classed under “listed” they wouldn’t be there now. “I notice that the Wakefield Civic Society are 100 per cent behind the application despite the loss of some heritage use. The proposals were passed with a condition that the applicants increase the number of disabled parking bays at the complex, after it was revealed that just two of proposed 162 spaces had been designated for mobility-impaired drivers. Developers say the first phase of construction will be completed by the end of next year, with the second and third stages finished in 2021 and 2022 respectively.